PVC Conveying & Automation Systems. 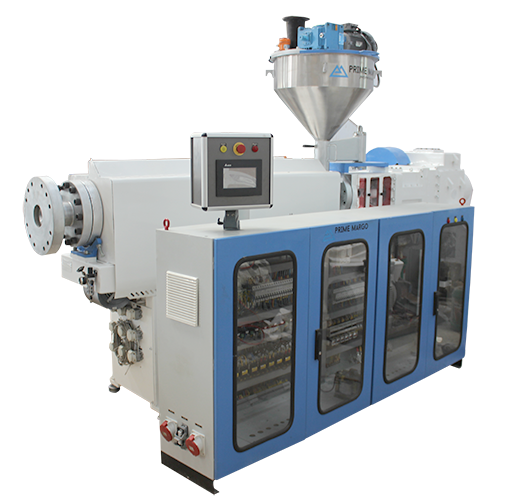 Prime Margo offers a wide range of high capacity PVC extruders with screw Dia 52mm to 91mm, depending on application and outputs. 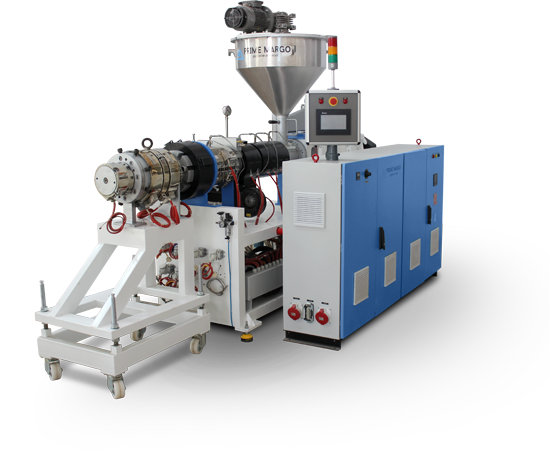 The extruders have highly advanced and innovative screw geometry, which is responsible for reliable pipe production at a low reject rate with prime pipe quality. The robust design and controls with proprietary software gives your operators the opportunity to reach for higher productivity all along the line. Vertical feeder for easy adaption of different bulk density of materials. Raw-materials & brought out items from the world-class quality makers. * Performance varies depending on pipe dimensions and type of material.